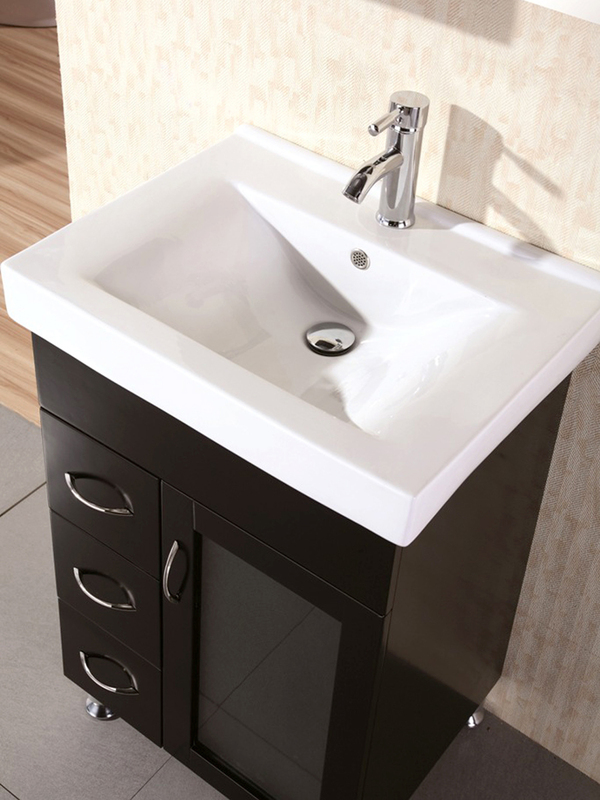 Great for small bathrooms and powder rooms, this dazzling 24" Milan Single Bath Vanity is here to brighten up your bathroom with style. Utilizing every bit of the 24 inches of space it occupies, the Milan features solid oak construction with a gorgeously handsome Espresso finish. 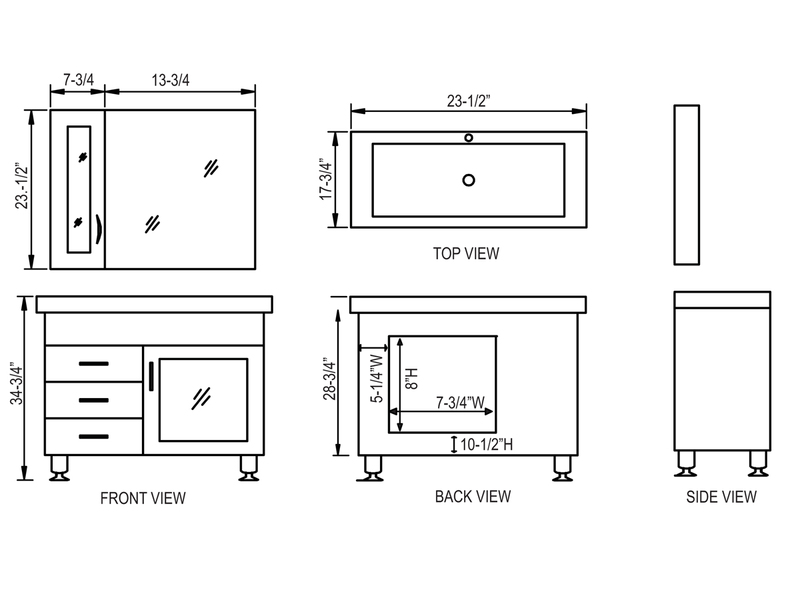 A glass-front cabinet with shelf and 3 fully functional side drawers offer two types of storage space. 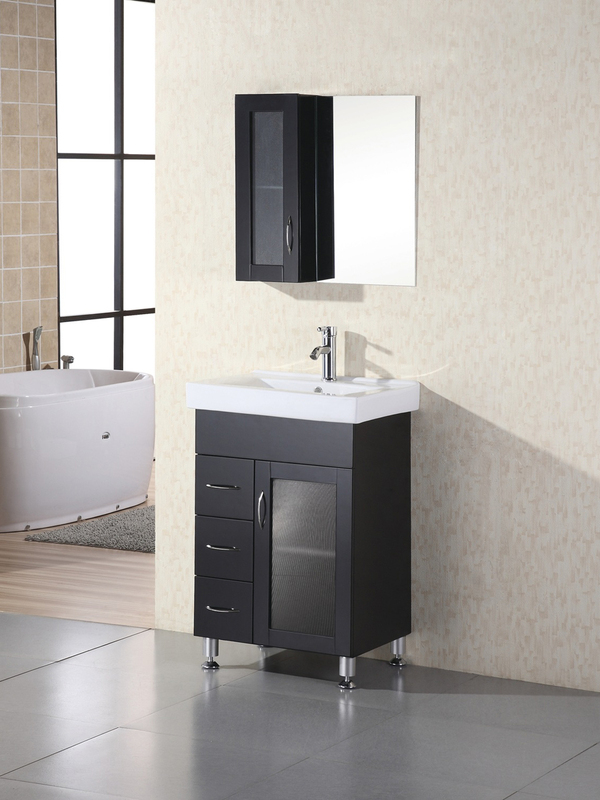 Its integrated white porcelain top and sink offers an attractive topper, while the matching side cabinet and mirror give your bathroom a completely new and functional look!